The legal limit for minimum depth of the tread on your tyres is 1.6 millimetres, across the central ¾ of the tread around the complete circumference of the tyre. 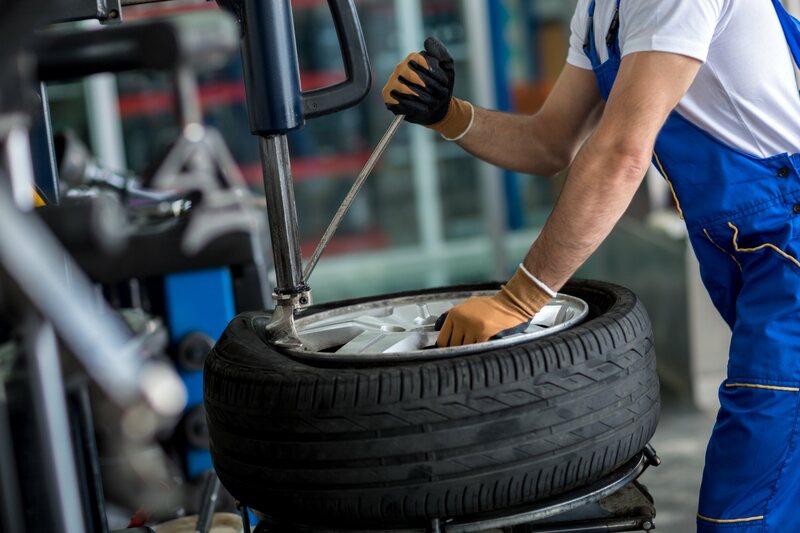 It is recommended for safety reasons that you replace your tyres before the legal limit is reached as you can incur fines and points on your license per tyre. Many vehicle manufacturers recommend replacing at 3 millimetres. Check your car tyre pressures regularly. You can find the recommended car tyre pressure in your vehicle handbook. It’s also worth checking your fuel filler flap or inside the front right hand door-strip for the tyre pressure setting information. Also, carrying extra weight in your vehicle generally requires a higher car tyre pressure setting. Remember to check your car tyre pressure settings when the tyres are cold, the same as the outside ambient temperature, and not after a long journey. Friction between the road and tyre increases the temperature of the tyre and the air inside, leading to ‘air expansion’ inside the tyre, which may result in a false pressure reading. Manufacturers recommend that you check all the Car Tyre Pressures every 2-4 weeks and that check should include the ‘spare’ tyre too. The spare tyre provides the means to get you on your way should one of your car tyres fail. You never know when or where a tyre may suffer a puncture and lose all its air pressure, so the spare tyre is as important as those in daily use. It is therefore vital to familiarise yourself with the location of the tools you need to change a tyre, like the car jack and a wheel wrench to remove the bolts. It is also useful to carry a pair of gloves in your boot; changing a car tyre can be a dirty job and one that you may need to do under difficult circumstances. Run flat tyres enable vehicles to be driven, at reduced speeds for a limited time until they can be replaced. These are specialist tyres with reinforced sidewalls allowing the tyre to support the vehicles weight even when all the air has escaped. If you have them fitted do you know where the unlock key is? Most car jacks seize up because they are rarely used, so we recommend you lubricate the thread and wind it up and down to free it off, once a year at least. Make sure you have one and when was the last time you checked it to see if it was legal and inflated?